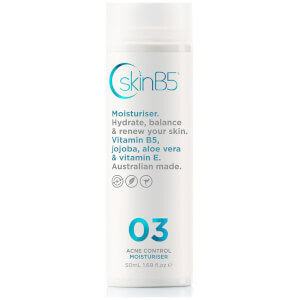 Treat the root cause of your acne with this great range of skincare from SkinB5. 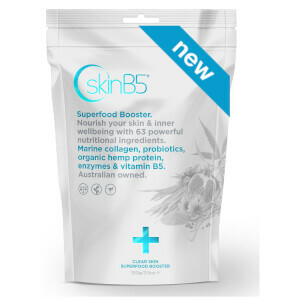 Featuring key ingredient vitamin B5 along with other natural ingredients to control Sebum production - the main cause of acne. The SkinB5 complete acne control program features four steps for managing current skin problems as well as maintaining healthy skin naturally. Step 2 - Acne Control Cleansing Mousse helps cleanse for healthier and less oily looking skin. This cleanser also tightens and unclogs pores, removes excess oil, soothes trouble skin, removes dead skin, prevents breakouts and refines skin texture. 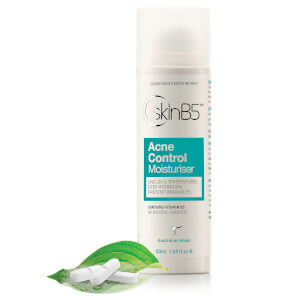 Step 3 - Acne Control Moisturiser is a non greasy formula that's easily absorbed and leaves behind no shiny residue. This moisturiser prevents breakouts, evens skin tone, tightens pores and controls shine. Step 4 - Acne Control Caplets containing powerful blemish fighting antioxidants to treat mild and hormonal acne and prevent black heads and white heads. Follow up with the Five Minute Mask for extra skin purification. 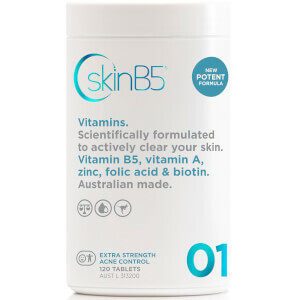 SkinB5 have a true commitment to customers by providing safe, ethical alternative products which genuinely work to effectively treat and cure acne and improve overall skin health. 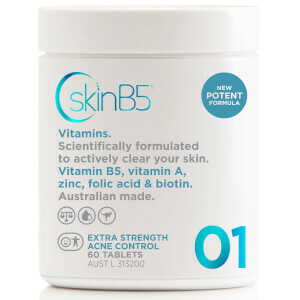 Clear skin starts within with SkinB5.